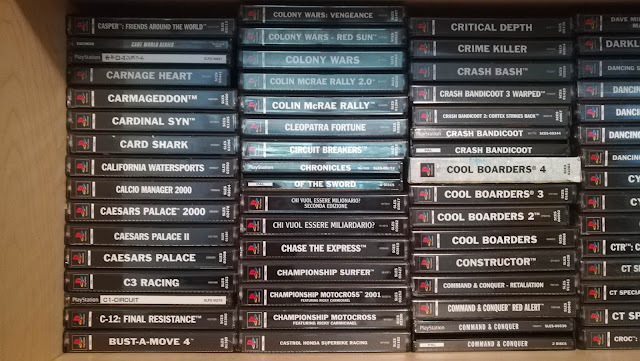 Today I'm happy to share pics from the collection of one of VGPC's founding members, TonyLizard! 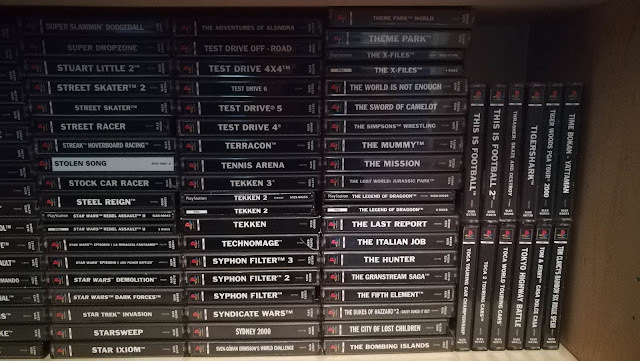 The sprawling collection was assembled over the years, including more recent additions to finish off the PSX Italian missings - a massive undertaking done with precision, from games to demos. 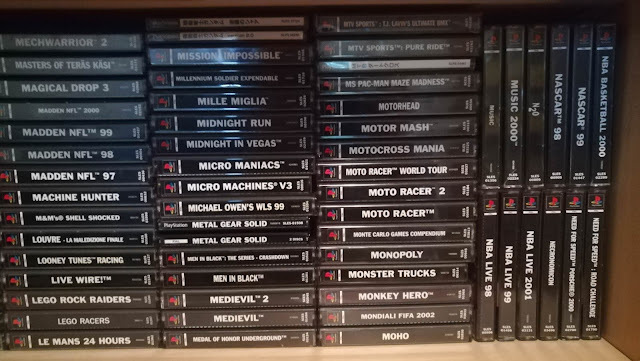 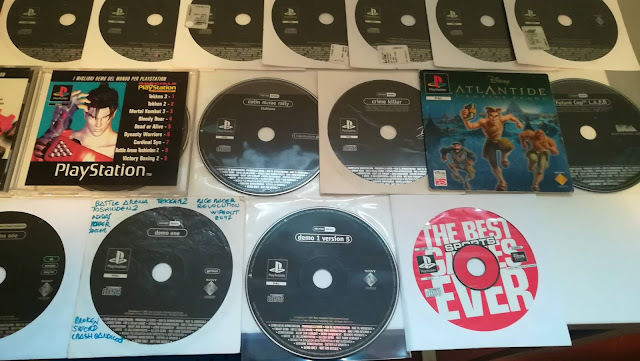 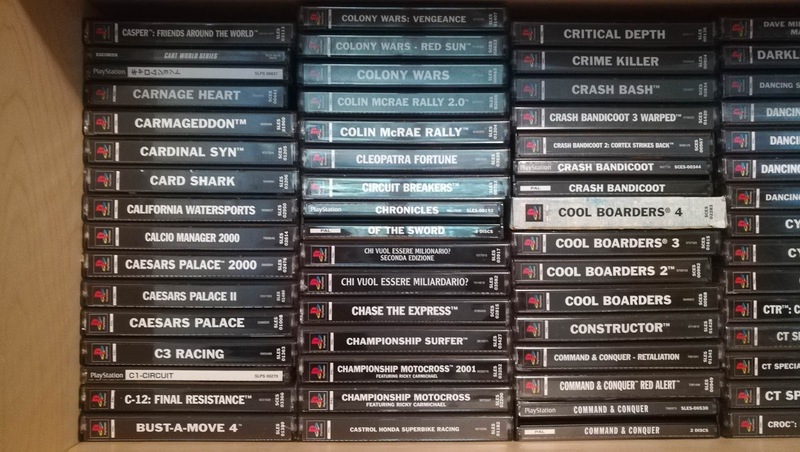 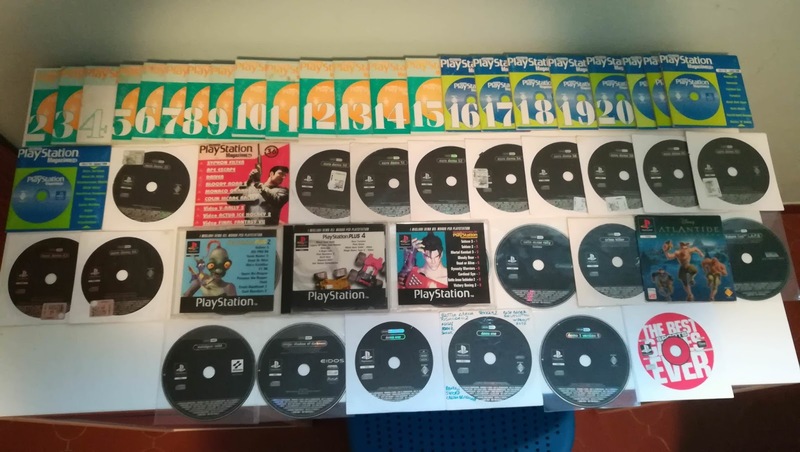 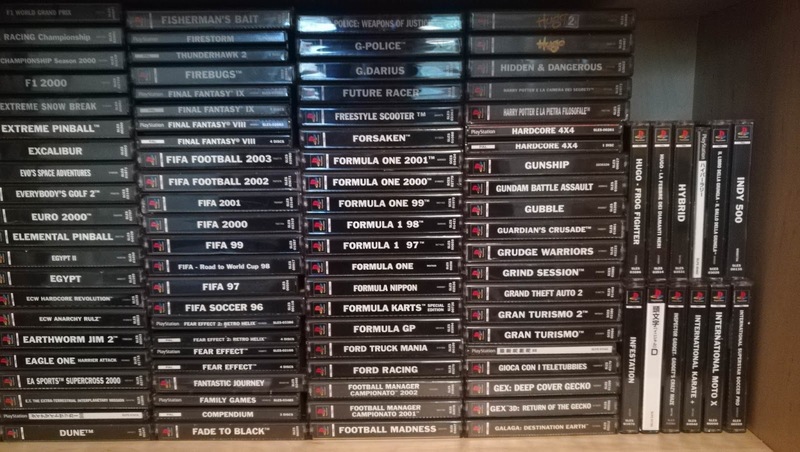 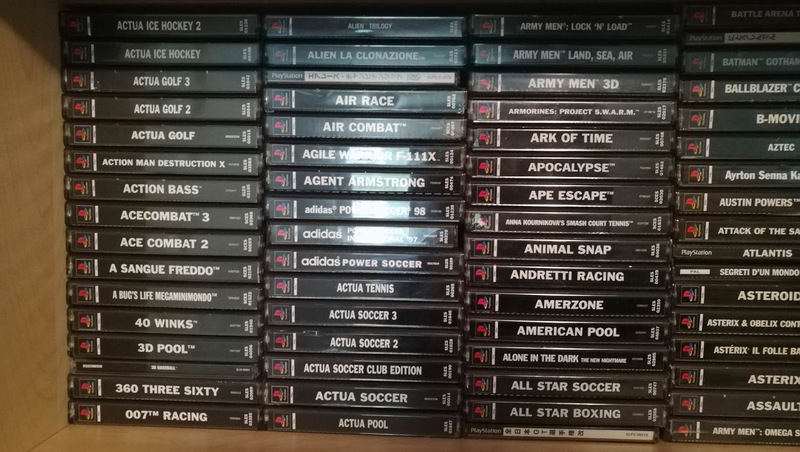 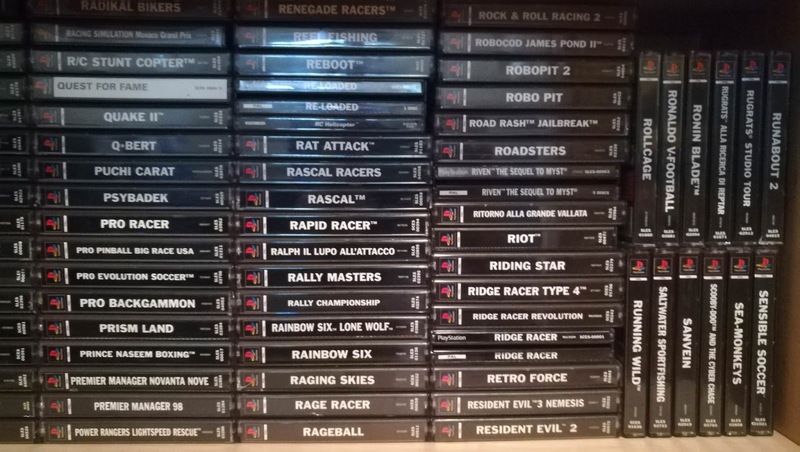 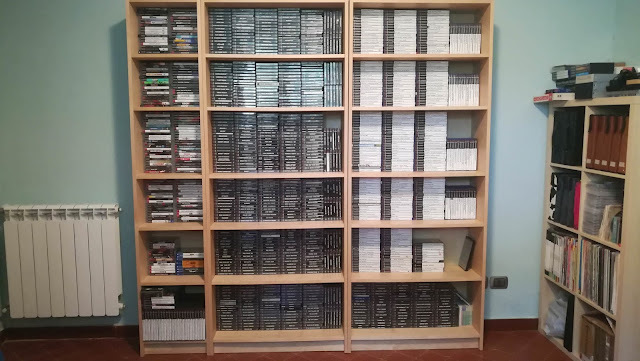 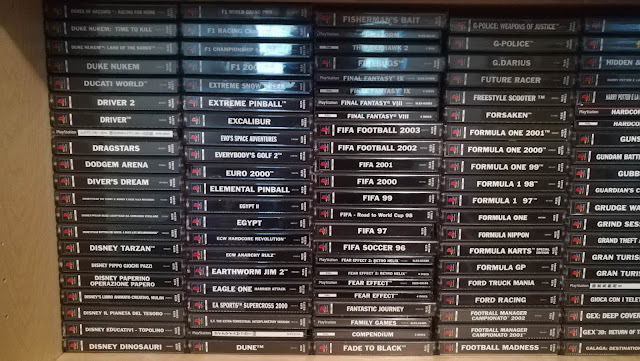 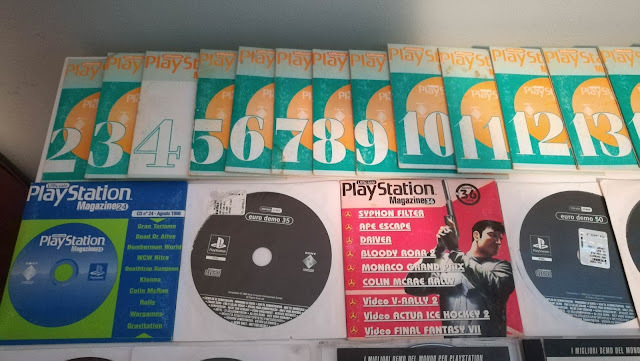 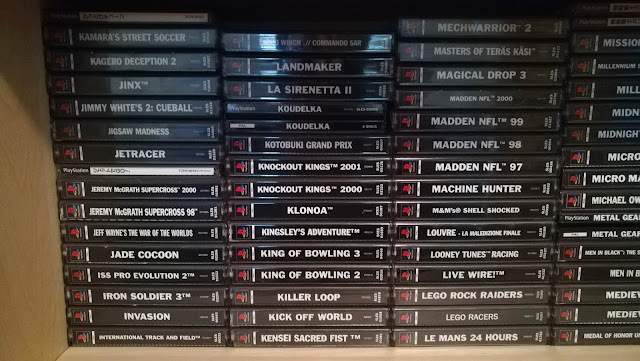 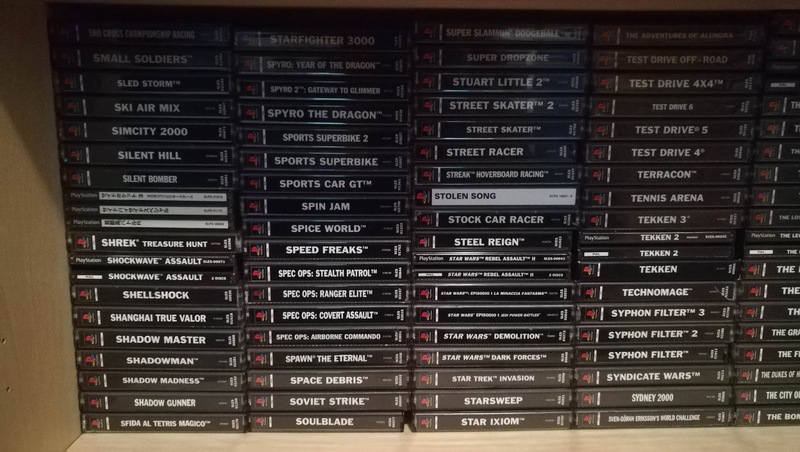 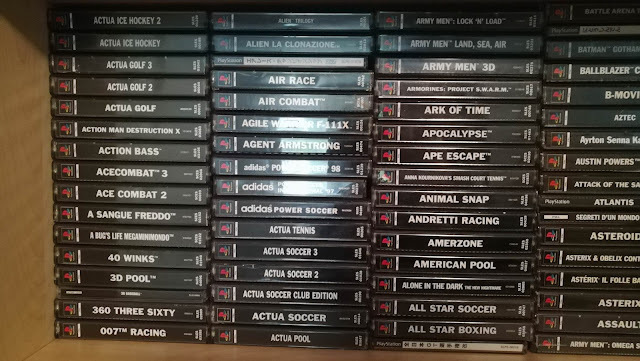 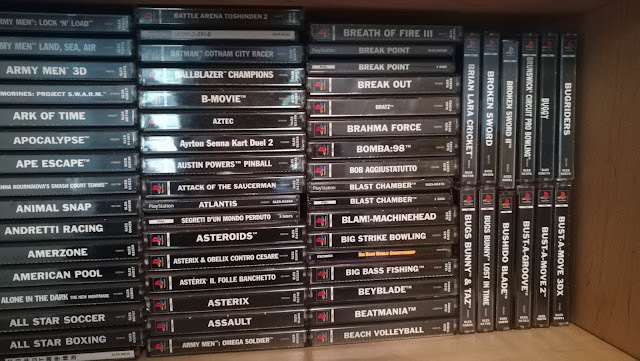 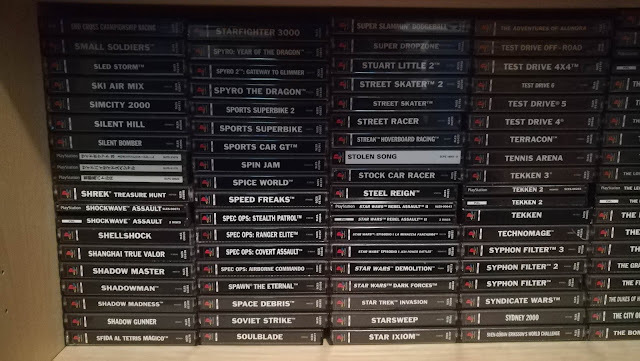 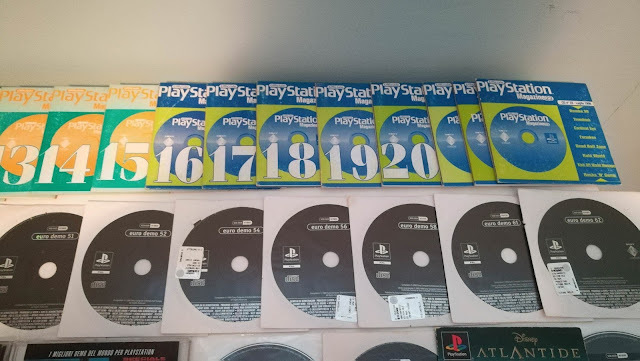 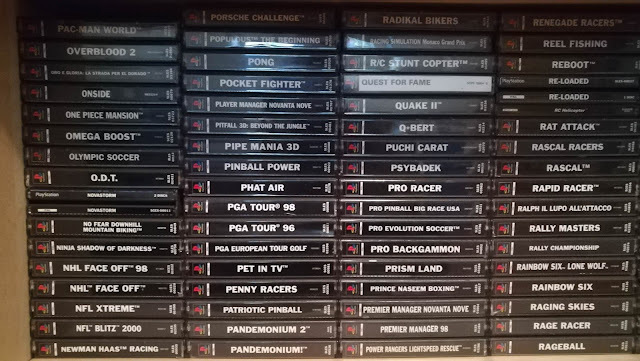 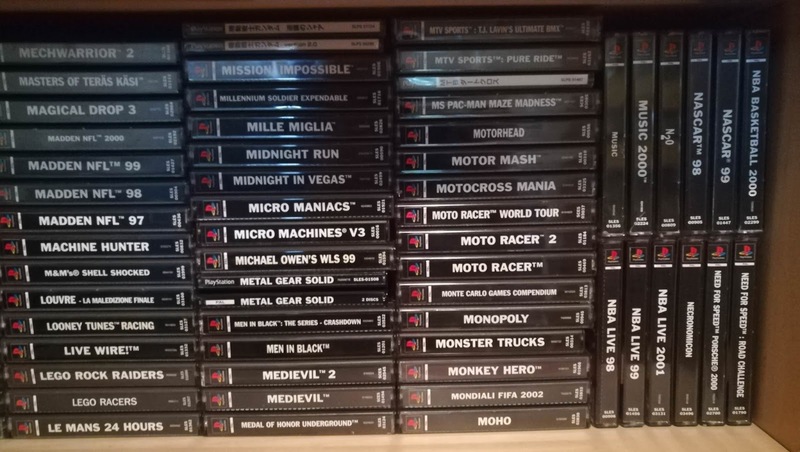 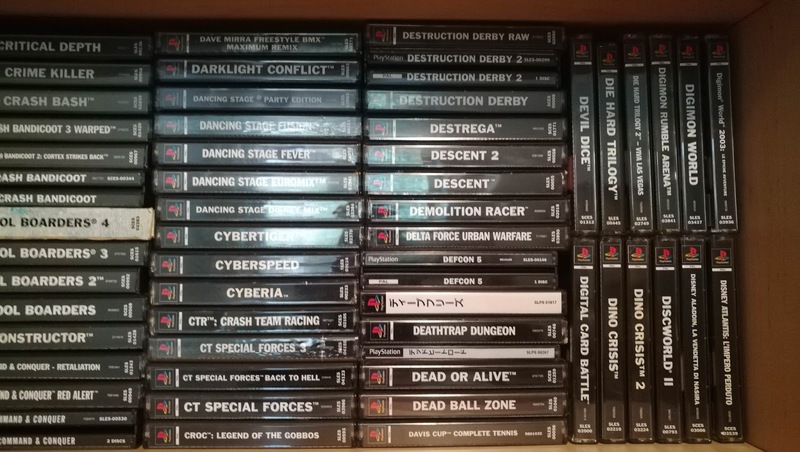 The collection includes: 664 PlayStation 1 games, 48 PlayStation 1 demos, 345 PlayStation 2 games, 71 PlayStation 2 demos, 170 PlayStation 3 games, and 7 PlayStation 4 games. 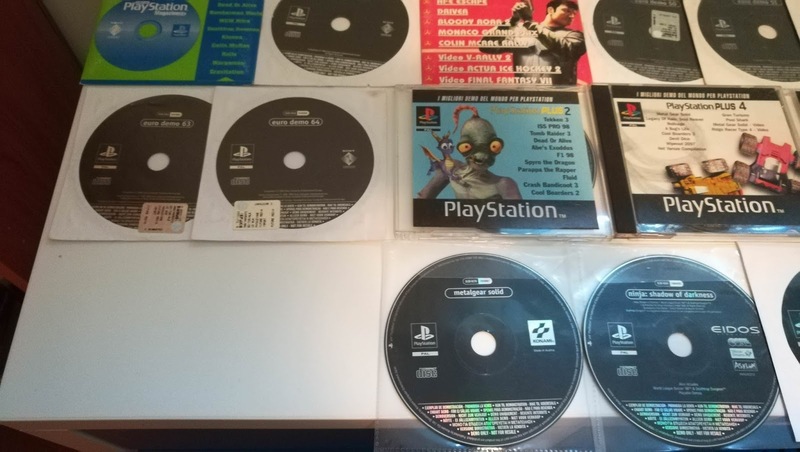 Currently TonyLizard is targeting other Italian games for preservation, including PlayStation 2 and PSP.